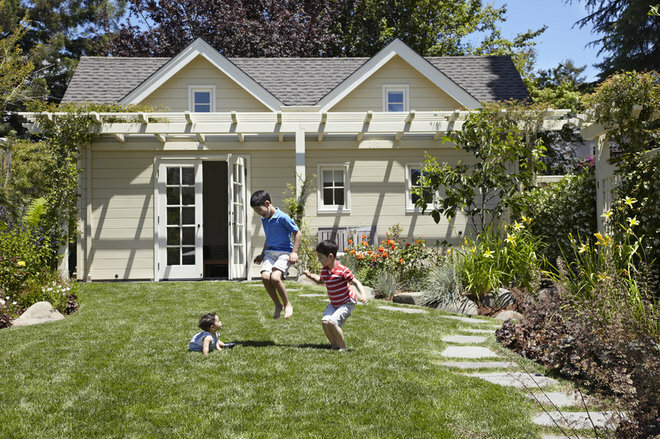 Low-maintenance lawn alternatives are growing in popularity, but many homeowners still love a bit of turf grass — lawns make great places for entertaining; kids can play and pets can run on them. But what if you need to add a new lawn or start over if your existing lawn is past its prime? Is this a good DIY project for someone with average skills? As it turns out, yes. But as with most things, a successful lawn starts with the right preparation. 1. Test your soil. The only way to find out what’s in your soil (and what’s not) is to test it. For about $15, you can have a sample of your soil tested at your local county extension office. There are basic kits available for you to run a test yourself, but your extension office will be able to give you more extensive information about what’s going on with your soil, so it’s money well spent. 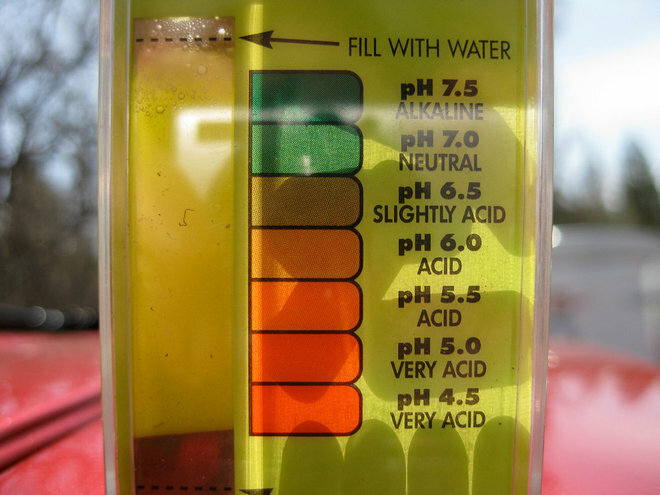 A good soil test will tell you what your soil pH is; what kind of soil texture you have; the relative amounts of nitrogen, phosphorus and potassium; and amounts of other minerals like calcium, iron, magnesium and copper. Once you have this information, you can amend your soil properly to prepare it for your new lawn. 2. Remove existing grass, plants and weeds. Starting out with a clean slate is important — you don’t want to spend time and money on a new lawn if you’re simply placing it on top of a weedy field. The way you remove this unwanted material is up to you, and largely depends on how large the area is and what kind of plant material you’ll be removing. For small areas with old grass and weeds, a hoe will work well, but for larger areas consider renting a sod cutter (typically $70 per day). If you have large plants (shrubs, woody perennials), remove them first and decide if you want to replant them in another area or move them to your compost pile. 3. 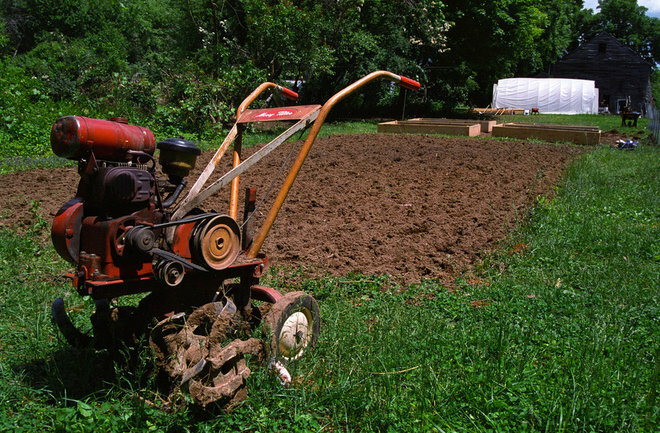 Loosen the soil with a tiller. This is an optional step, as there are a couple of schools of thought concerning tilling your soil. Some experts believe tilling is needed to thoroughly combine old soil with amendments; others believe tilling simply disturbs weed seeds and creates a mess. My recommendation is that if you have an area of very hard soil, it may make sense to break it up to a depth of 6 to 8 inches using a rear-tine tiller (typically $55 per day to rent) before adding your soil amendments, but otherwise feel free to omit this step. 4. Add compost. 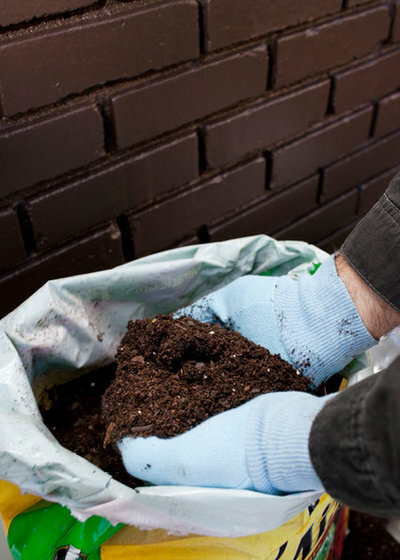 All soils, regardless of the results of a soil test, can benefit from a 2- to 3-inch application of compost. This can be compost taken from your own pile or purchased from a landscape supply yard. Use well-rotted compost, as compost that is too new or “hot” will not be sufficiently broken down and will not benefit your new lawn. Good-quality compost costs about $30 to $50 per cubic yard, depending upon the type you purchase and the area in which you live. 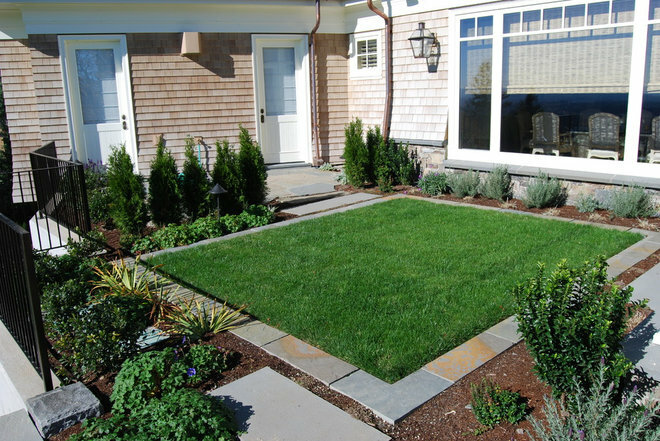 Be sure to tell the landscape supply yard that you need it to establish a new lawn, as there are often different mixtures for various garden applications. 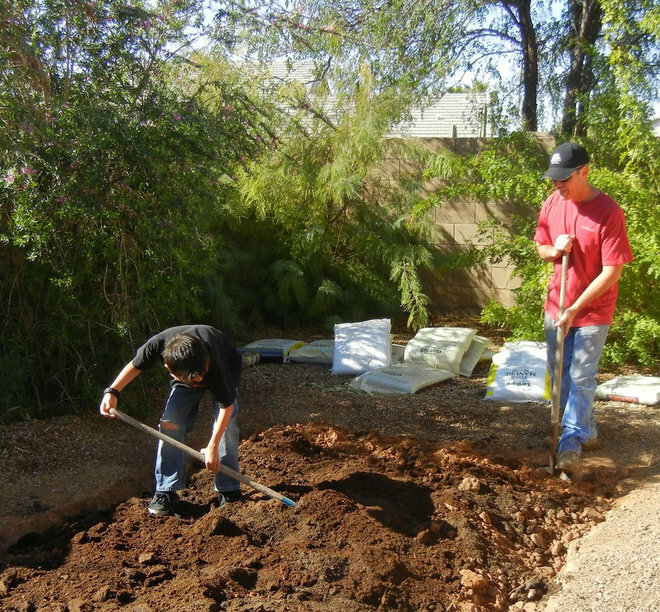 You can also add other soil amendments, like sand, to break up clay-like soils. Soil amendments address the soil’s physical condition (texture, ability to drain), and are not to be confused with fertilizers, which address the nutrient levels in the soil. 5. Add fertilizers and rake smooth. Depending on the results of your soil test, you may opt to add some starter fertilizers to get your lawn off to a good start. Your soil test should make some recommendations on what to add to bring your particular soil up to healthy nutrient levels; look for a lawn starter fertilizer with those ingredients. If you have any questions, be sure to ask your county extension office for clarification to avoid performing any unnecessary tasks or steps. Use a spreader to add the fertilizer evenly, and then use a hard rake to evenly smooth the surface of your soil. You’ll want the soil to be about 1 inch below grade to allow for the height of the installed grass. Make sure your soil surface is free of “hills and valleys,” which will make for a lumpy lawn and a less-than-professional appearance. Plant sod or spread grass seed as soon as possible after finishing your prep work. 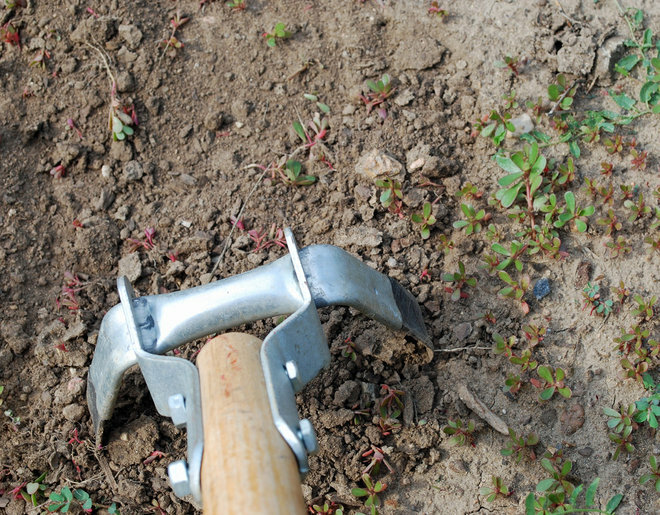 The longer your unplanted soil is bare, the quicker weeds will once again stake their claim. Every geographic area has its soil quirks — too much rock, sandy soil, clay soil etc. Get to know yours so you can better address your gardening issues. Don’t skimp on soil preparation when planning for a new lawn — although you won’t see the specific materials in the end, a healthy lawn will be your reward. Always use sod or grass seed that is recommended for your area and your site.